I hear this a lot in my office. So what’s in a name, anyway? A lot actually. When you buy a pair of eyeglasses that is a name brand you are getting a product that has been designed by a professional designer. They use quality materials that are light, durable and hypoallergenic, comfort is everything. 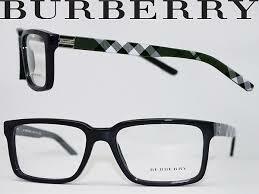 Designer’s are aware of the latest shapes and colors so that your glasses will look as nice as they feel. Name brands provide good warranties, they have been tried and tested. Your eyeglasses are often the first thing people notice when they look at you so choose them well. Do I really need an Anti-Reflection (AR) Coating? 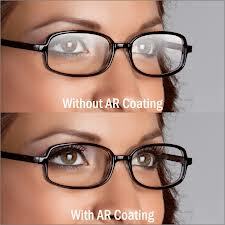 Many Eye Care professionals recommend AR Coatings to their patients. An AR Coating is a multi-layered coating applied to the surface of a lens to make it more transparent and therefore less reflective. Not only does it improve the look cosmetically but it helps reduce glare from computer screens, overhead lights and oncoming headlights while drive at night. AR coatings are also harder to keep clean as they tend to smear more easily, so it isn’t always appropriate for some patients, especially young children. http://www.jonathanlenardopticians.com/wp-content/uploads/2014/04/images-1.jpeg 225 225 Jeff Elsley http://www.jonathanlenardopticians.com/wp-content/uploads/2013/04/logo12.png Jeff Elsley2013-07-16 14:05:562014-06-26 05:15:02Do I really need an Anti-Reflection (AR) Coating? So lets talk about “Rimless Eyewear”. Everything old can be new again, it’s true that some of the very earliest eyeglasses ever made were rimless. There are so many advantages when considering rimless frames ( glasses with no metal or plastic around the lenses). First of all they are the lightest frames on the market today, they are made of Titanium which is both light and strong. It is also hypo- allergenic for those who have allergies to metal. Silhouette has specially designed nose pads that are angled so as not to leave those awful marks on your nose. When you were glasses all day comfort is paramount. We can make rimless glasses any shape you want from square to round and everything in between. They can also be made any size. I have some men who cannot fit into a conventional frame because they’re head’s are just too big, just as I have women who’s faces are too small for off the rack frames. We customize the size of these frames to fit virtually anyone. There is a myth out there about rimless frames and strong prescriptions. We are now able to put very strong prescriptions into these frames. We have available to us hi-index materials that allow us to edge and mount high prescriptions into these frames. We polish the edges to make them look even thinner. The other myth is that the lenses will break or crack. We now use a material called Trivex which is guaranteed never to crack or break. The Silhouette frame line is also guaranteed against defects for 2-3 years. We have become so confidant with frame-less eyewear that we have come to specialize in them. Our major line is Silhouette, which is made in Austria. We have proudly carried this line for 22 years now and have the newest collections on display in our dispensary. They will hold single vision lenses , any type of bifocal or progressives , and transitions lenses that turn dark in the sun. So if it is comfort, and style that your looking for consider a Silhouette Rimless frame, you will certainly be in good company……. I think, Stephen Harper our Prime Minister wears them ! I shocked a woman in the checkout line the other day (true story). I recognized her enough to say hello but didn’t know her. I could clearly see that her glasses were crooked and very uncomfortable. I knew I could help her and possibly make her day a little better, so going way out of my comfort zone I said something. I introduced myself as an optician with a store across the hall and would she like to come over and I could adjust her glasses… These are the times in our lives we can really begin to sweat, and I did. She agreed to have them fixed and everyone was much happier because of it. Properly fitted glasses are something everyone deserves to have. Do they hurt behind your ears, leave terrible marks on your nose, squeeze your temples, and slide down your face? Maybe you’ve tried unsuccessfully to have your glasses adjusted but they just couldn’t get it right. We have come to specialize in the fitting of glasses over the years and we will get it right! Come in and see us if you are experiencing any of these symptoms and we can help. http://www.jonathanlenardopticians.com/wp-content/uploads/2014/04/Unknown-5.jpeg 149 339 Jeff Elsley http://www.jonathanlenardopticians.com/wp-content/uploads/2013/04/logo12.png Jeff Elsley2013-06-17 09:47:432014-05-19 15:29:32Do your eyeglasses fit?